Decentralized education platform for students to take online classes from universities around the world. Education is a trillion dollar industry and because of centralized diplomas, the cost of education is becoming unreasonable by the day. Student loans in the first world countries amount to almost $100000 for a degree whereas the same degree with almost the same level of education is being provided in a third world country for less than $10000. Project Illumine aims to implement online classes in a blockchain from universities all around the world which can be taken by students and the credits can easily be transferred to the university you're studying. In simple terms, if you take 30 credits online from universities in a third world country, you end up saving more than $15000 on your overall expenditure for a degree. The blockchain platform will be able to streamline the process of credit transfers easily. This will provide students with an opportunity to become educated without having to stress about student loans. The level of formal education achieved by women is, in most cases, the single most important determinant of population growth. More educated women generally have fewer children, better general health, and higher infant survival rates. Education also appears to be a more important determinant of child survival than household income and wealth. The study also found that if concerted efforts were made to fast-track education, the global population could remain below 9 billion by 2050. Thus the global population outlook depends greatly on further progress in education. 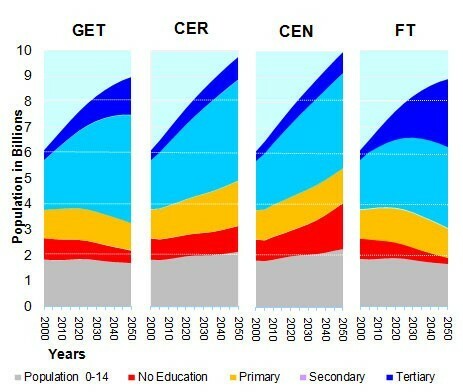 The ‘fast track’ (FT) scenario assumes all countries expand their school system at the fastest possible rate whereas the most pessimistic scenario of ‘constant enrollment numbers’ (CEN), assumes no new schools are built and the number of people attending schools remains constant, which means declining enrolment rates. Under these two extreme scenarios, population size in 2050 could vary by as much as 1 billion–with 8.8 billion people expected under the fast track scenario and as many as 9.9 billion under the constant enrolment numbers scenario, as can be seen in figure 1. 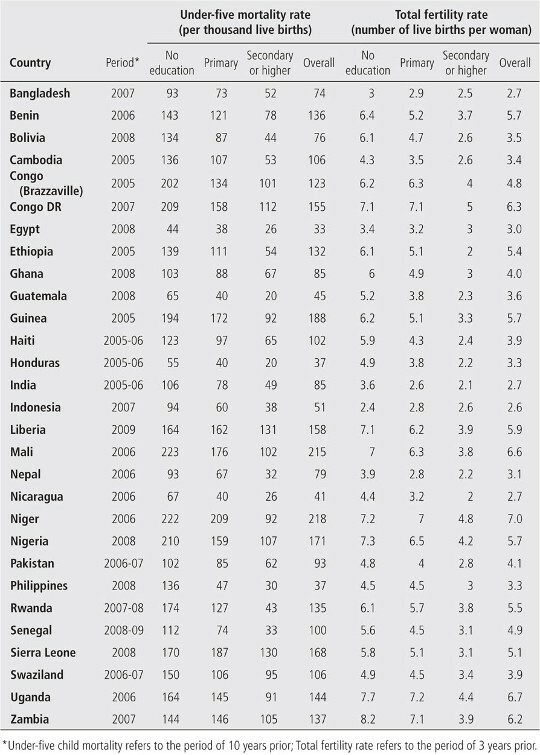 The effect is greatest in countries with current high fertility rates and high education differentials. Kenya’s population, as an example, would increase from 31 million in 2000, to 85 million in 2050, under the optimistic FT scenario. Under the pessimistic CEN scenario, Kenya’s population could increase to 114 million. The difference of 30 million between these extremes is equivalent to the size of Kenya’s population in 2000. Project Illumine is trying to tackle humanity's greatest problem in an innovative and revolutionary way. Development of MOOC(Massive Open Online Courses) is recent years directs us to a potential solution in our flawed education sector. A blockchain-powered network of thousands of universities in the world would offer students a way to get educated through just a computer and an internet connection.